The Cross-linx Festival creates musical connections that you wouldn’t expect on first sight. Styles such as composed ‘new’ music and artists from the avant-garde pop scene will meet. Previous editions of the festival presented artists like Patrick Watson, Ólafur Arnalds, The National, Nico Muhly, Efterklang, José González, Spinvis and Lavinia Meijer. The program of this 14th edition will again be filled with a fine selection of artists such as Bryce Dessner, SWOD, Sebastian Plano, Maarten Vos and FC Jongbloed-Lunatree. We’ll be performing together with Mark Lanegan and Squarepusher. Style-wise, the difference between these two artists couldn’t be bigger. As frontman of The Screaming Trees, Mark Lanegan was one of the most defining artists of the grunge scene. The last couple of years he stands out because of his very intense narrative solo performances. Squarepusher a.k.a. Tom Jenkinson, is well known in both the jazz and drum and bass scene. This means we are dealing with an exceptional musician. 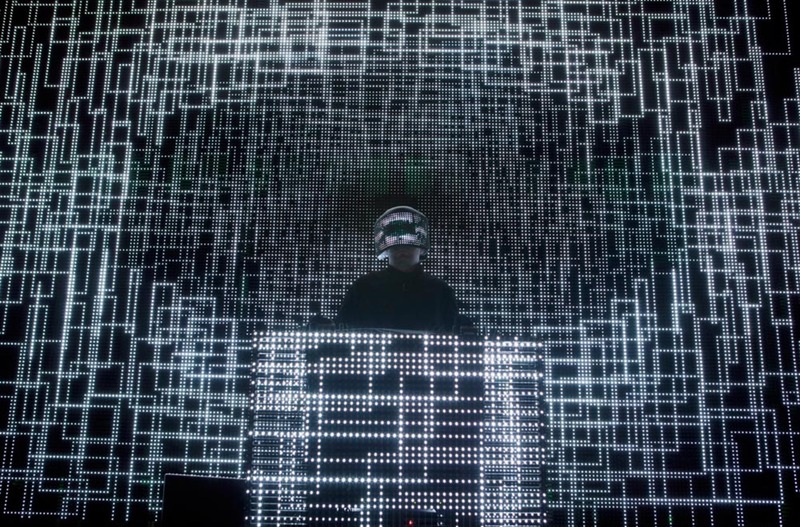 Squarepusher is the greatest beats pioneer of the 1990’s and can truly be called exceptional.